Home / London Fashion Week / LFW Day 2; It’s Fashion time!!! LFW Day 2; It’s Fashion time!!! by thefashionnomadupdated on 17, September, 2011 17, September, 2011 Leave a Comment on LFW Day 2; It’s Fashion time!!! 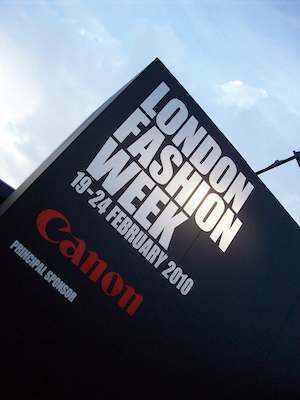 As I’m sure you’re all aware today is the second day of London Fashion Week. Give me a moment, while I squeal about that and jump up and down. 🙂 Well, as you can imagine today has been a little mental, in between taking photos of all the glamorous and suitably fashionable people to going to shows and also hanging out with fellow bloggers. The one amusing fact about bloggers is that you can always spot your fellow compadres. I’m not quite sure what it is; but you find each other and stick together like glue. I think to be able to do this amazing day justice, I’m gonna break up my posts into themes and post them that way, because otherwise I have no clue how to tell you all about my day and show you the hundreds of snaps I’ve taken. Post 1 will be the photos from the Jacob Kimmie show I saw this afternoon at the Vauxhall Fashion Scout venue. Post 2 will be all the amazing people I’ve seen today, photographed and talked to. I’ve seen some pretty amazing industry heavyweights and even a celebrity or two. Post 3 will be all the stylish people I’ve photographed in all their various states of fabulousness! Post 4 the final post of the day will be snapshots of beautiful accessories and segments that are just too many to fit in anywhere else. So please bear with me as I will probably be blogging through the night to get this done. But I most go, John Rocha must almost be over and I want all the goss from my fellow blogger Jess.